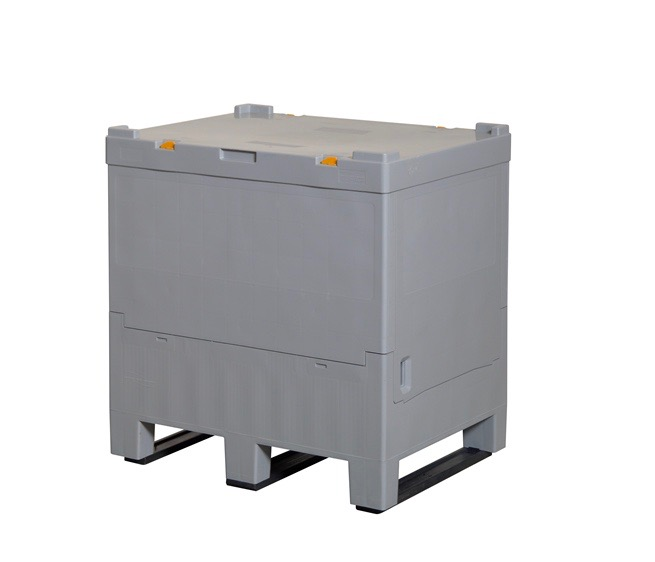 This new IBC allows a more cost effective solution to transporting your bulk liquids. This is a bag in box sytem that is reusable. 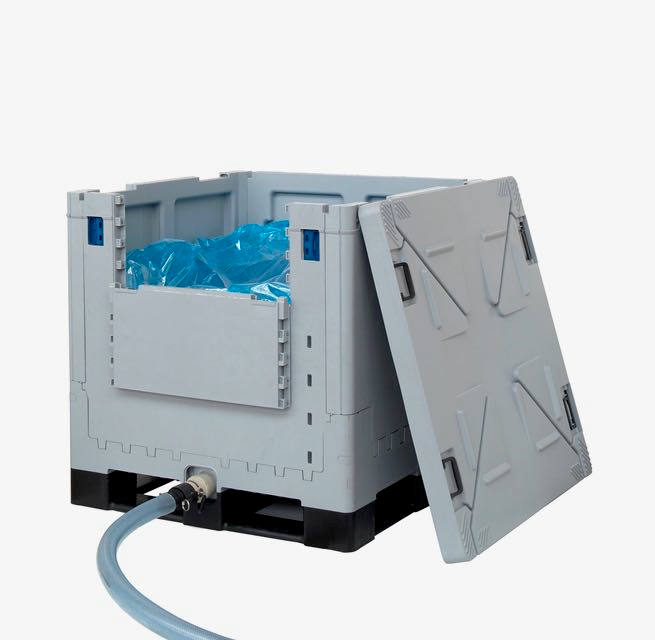 Instead of using a one trip option the AIC Combo Liquid IBC is returnable, reusable and recycable with only the inner liner requiring replacement. 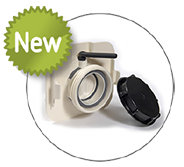 The AIC Combo can be collapsed down to allow for cost effective return by reducing 2.5 times when empty and since the bag is replaced minimal cleaning is required to reuse. Simplified operation means that only one person can prepare the AIC Combo Liquid IBC. Contact us today for more infomation. Bisphenol A free material butterfly valve available with 250L and 1000L liners. Latest EC and French food contact regulations. Maximised Savings: 60% folding ratio allows 5 stacked columns of folded IBC per truck, drastically reducing reverse logistics costs. Fast and easy handling: thanks to its design, Combo can be set up and handled by one operator only. Tough and long lasting: the double wall structure enables up to 7500kg stacking load or 4 on 1 piles minimizing storage space. Combo withstands road rails and sea freight with 1400kg unit load.